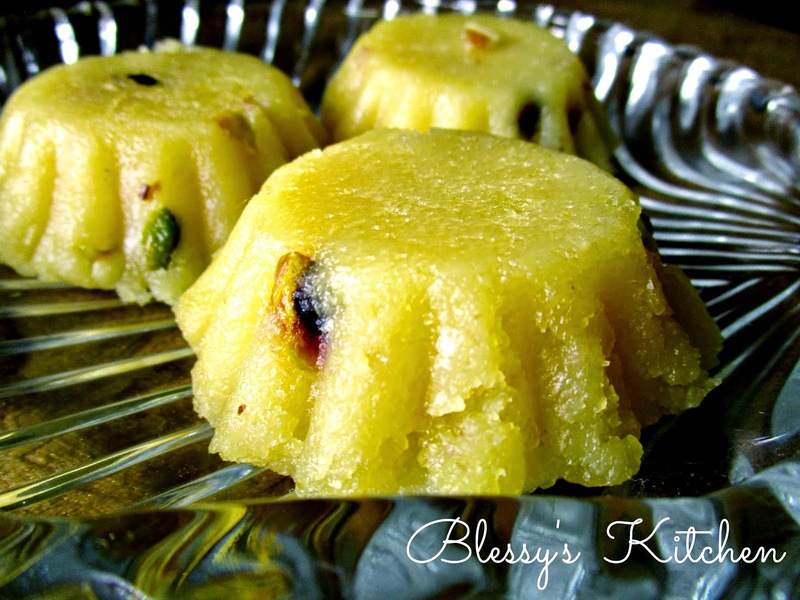 This Indian dessert is popular through out the country. 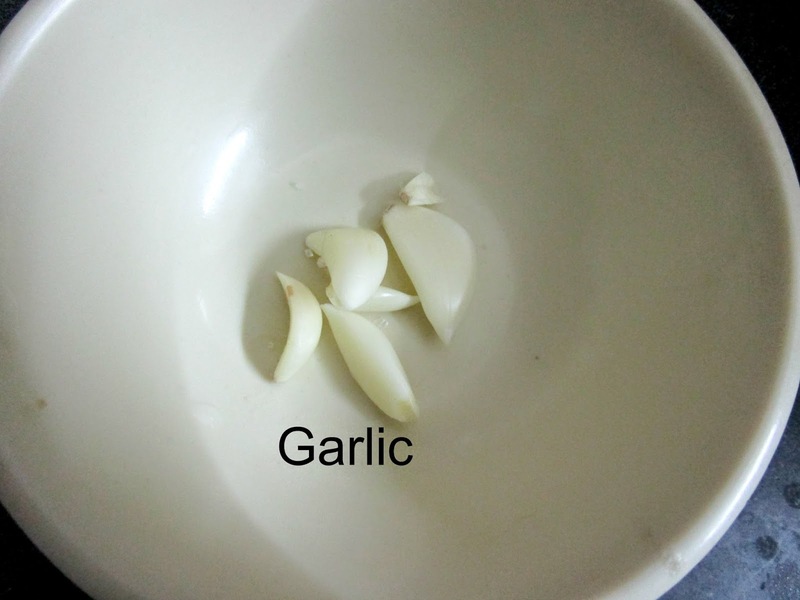 This is very simple recipe and goes well with all occasions. 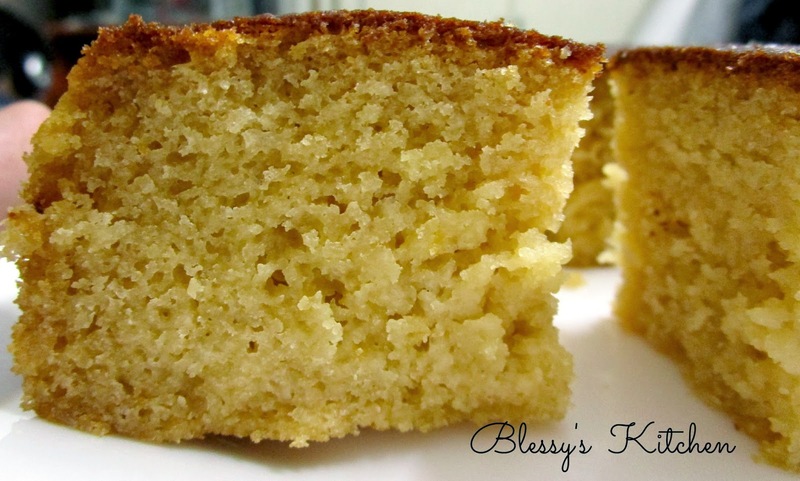 This is made with Suji also called as Semolina, Bombay Rava. 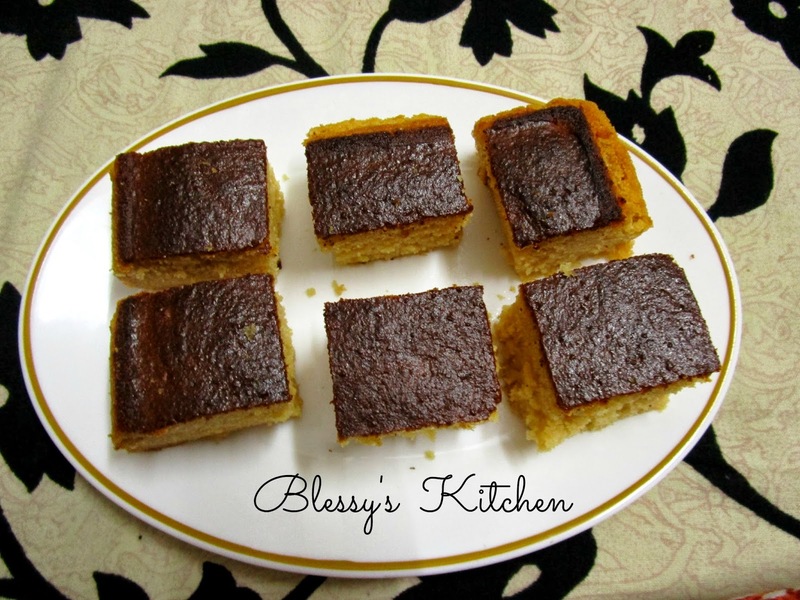 This is originated in Karnataka and called as Kesari Bhath. The word Kesari refers to the color saffron. 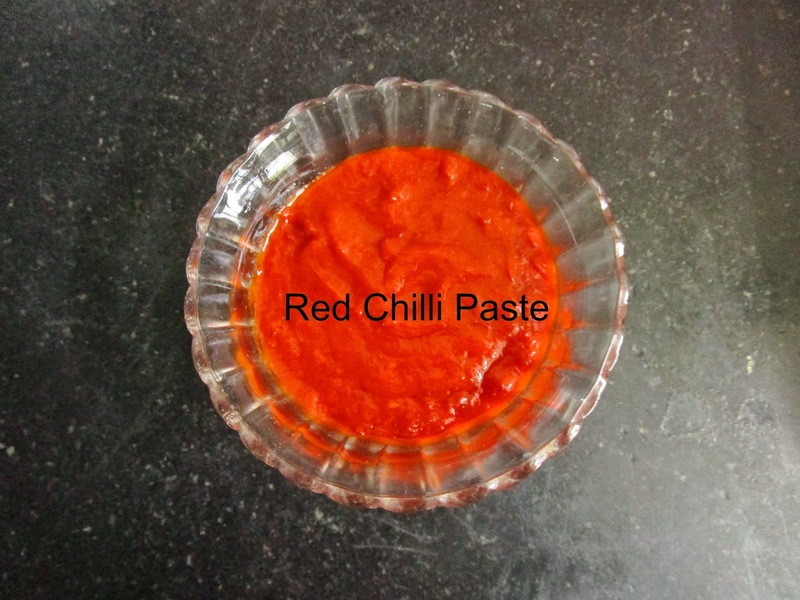 But some also make this dessert without adding saffron color. Some add Orange color.Its totally up to you. 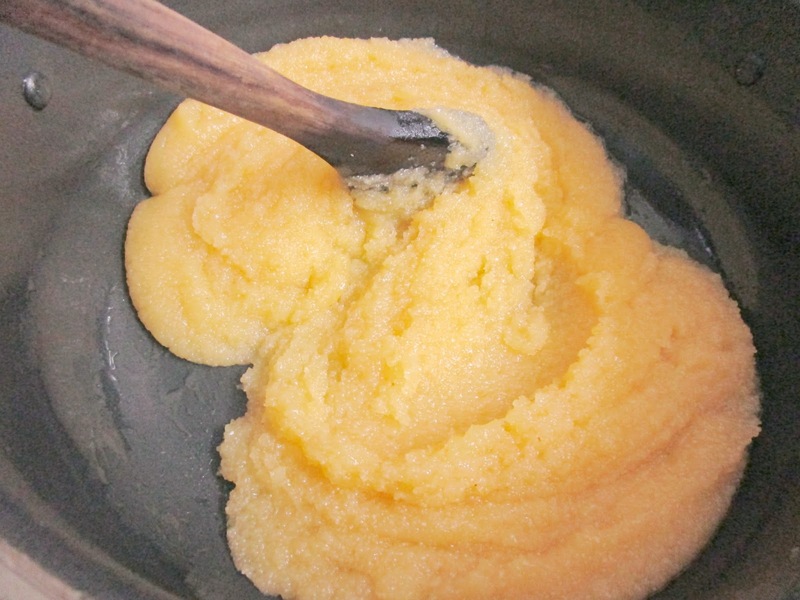 It is widely popular as Suji/Sooji halwa in North part of India, Rava kesari in South Part of India. To get a fancy look you can try making different colored halwa batches and pile it up one on the other to get "Rainbow Effect". The interesting part is you can make different variations using pineapple, strawberries and coconut. You can make this dessert under 20 minutes. So lets make some quick dessert "Suji Halwa"
Saffron Food Color & Salt. 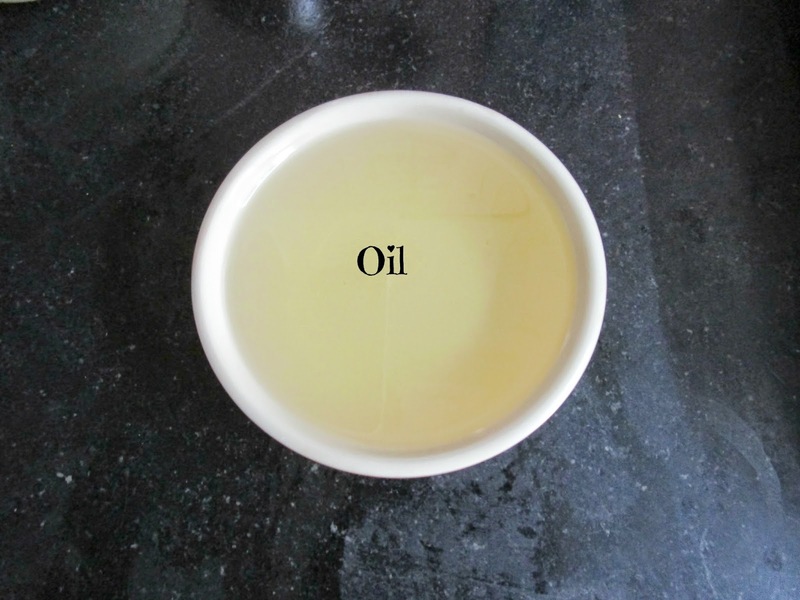 Begin by adding the Ghee/ Clarified Butter to a minimal pre-heated pot. 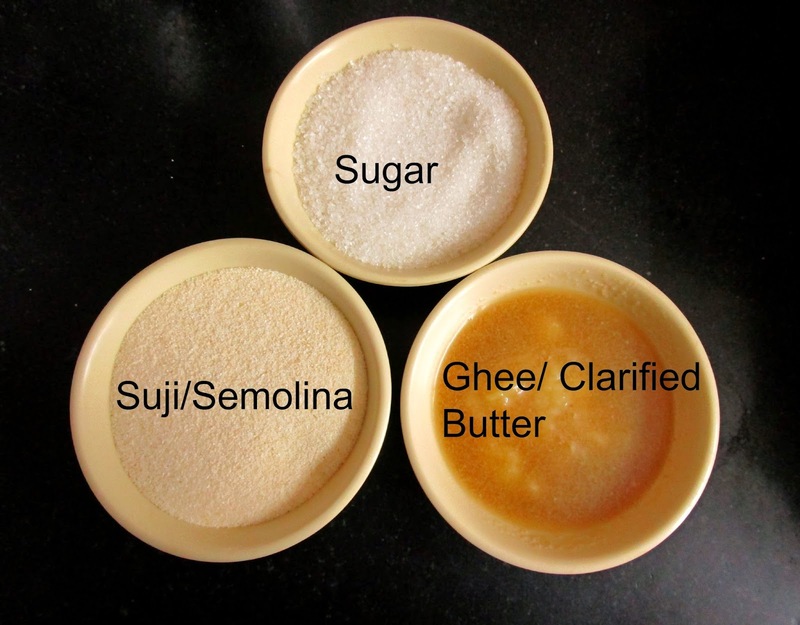 After melting the ghee add the Suji/Semolina/Bombay Rava to the ghee and roast it until flavor comes out. (approx about 8 to 10 minutes on medium flame) . 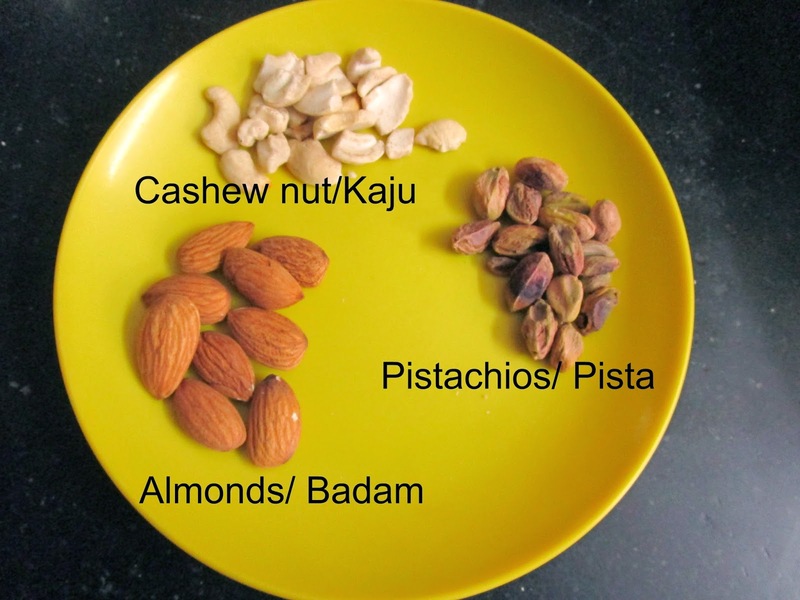 After getting the Halwa consistency add the roasted chopped nuts which I don't have a picture of it because of Power Cut. You can also serve Suji Halwa warm with Puri's for Break fast. 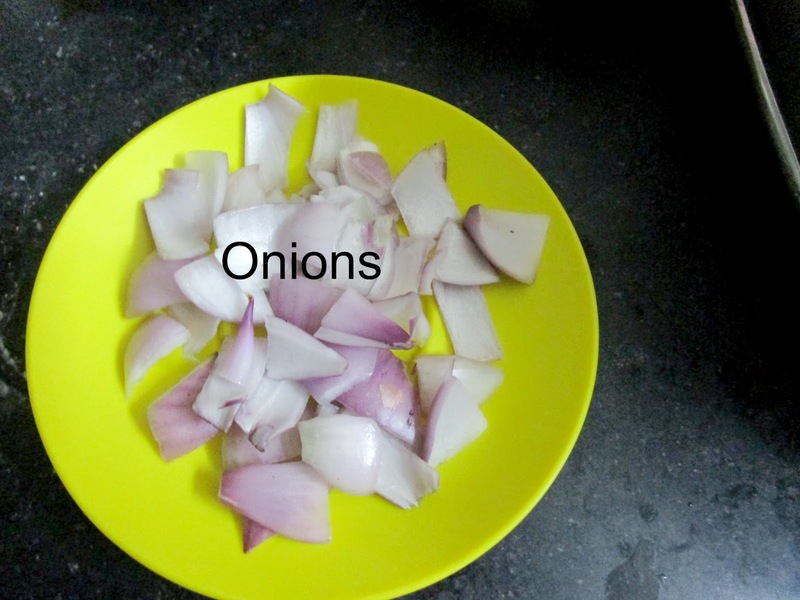 ** The whole process of making the suji halwa and the final product pictures vary due to lighting problem. 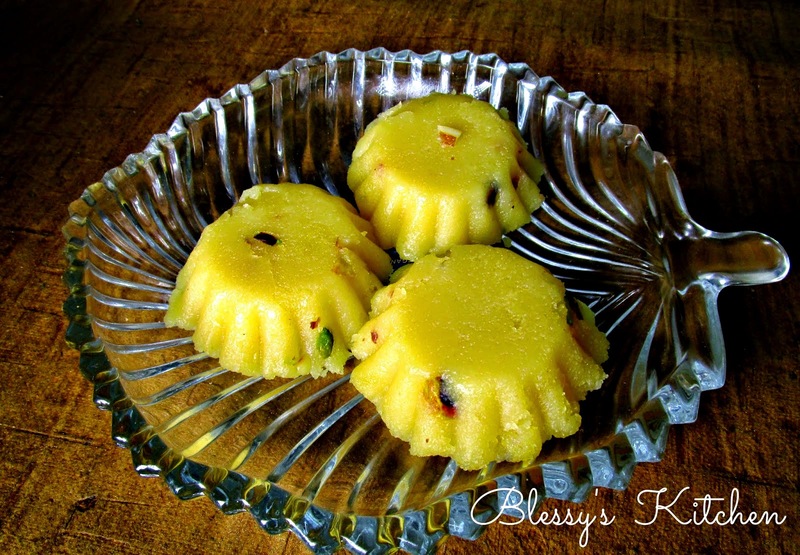 ** To make Suji Halwa in traditional way, add saffron strands to get the saffron color. 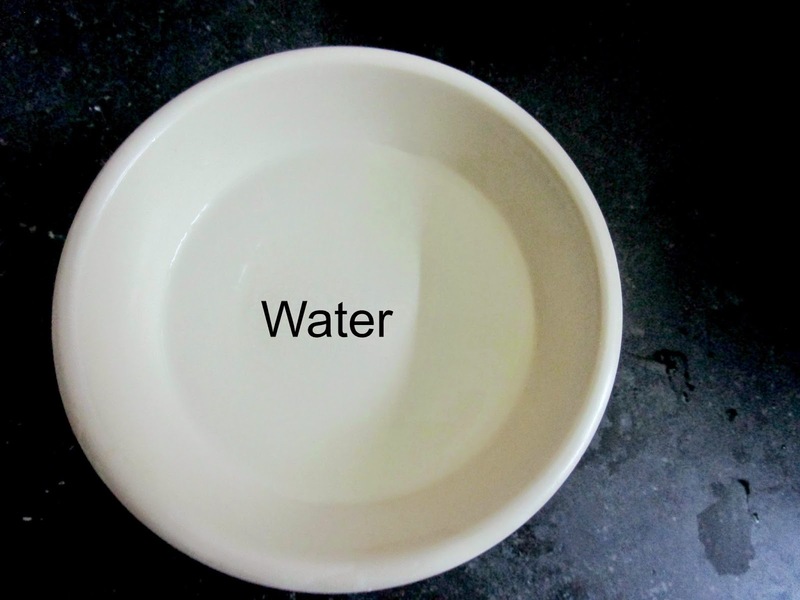 ** You can substitute water with milk for richer version. ** You can add more sugar according to your taste buds. 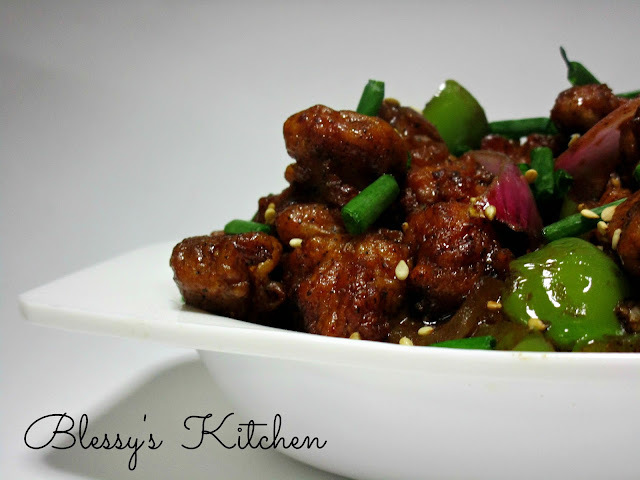 Chilli Chicken is Indo-Chinese dish. It is served as a starter at restaurants. I believe you all know how popular this dish is! It goes best with Fried Rice, Noodles or just on its own. Some prefer to make this dish with bone and some with out bone. Today I am using boneless thigh part of the chicken. This dish is well flavored and satisfying . 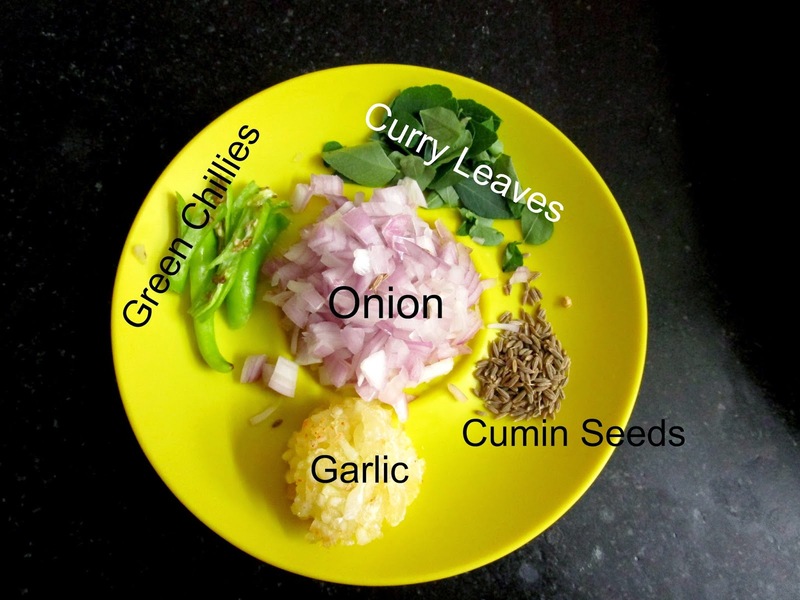 Try this recipe and you will love it. Its a magic when you infuse Chinese to Indian cooking and I'm loving it :). 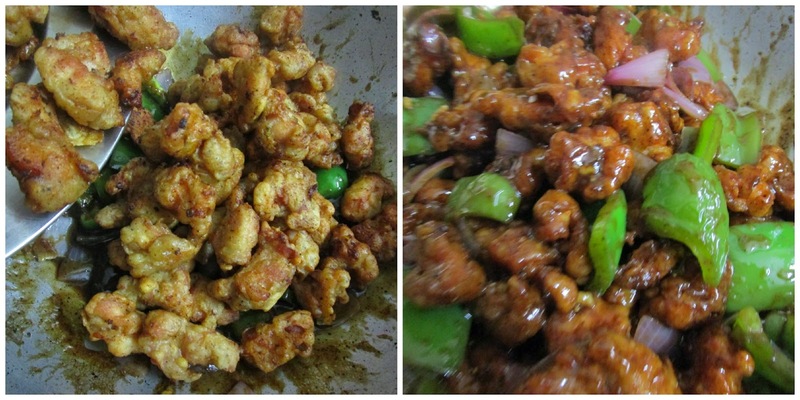 So, lets not delay and start making Chilli Chicken! 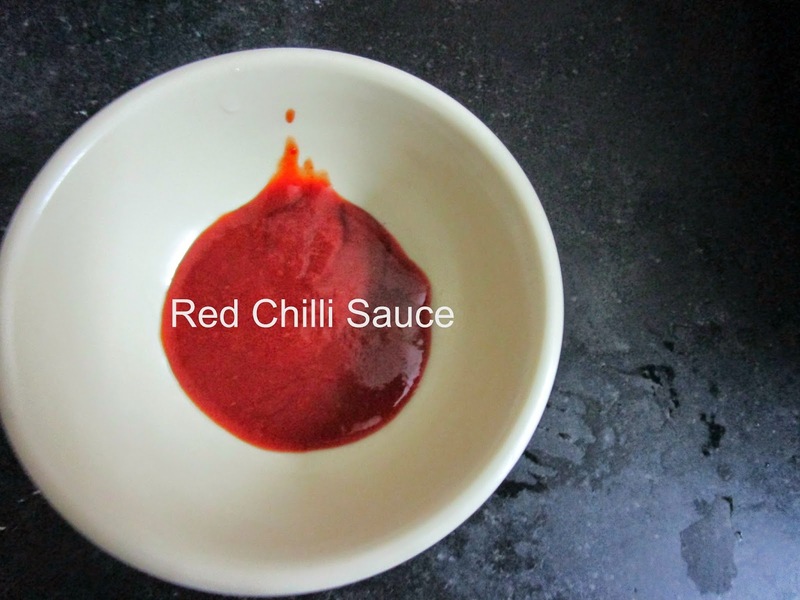 For easy understanding I divided this recipe into three parts: . First we are marinating the chicken in the buttermilk. and marinate it for about 2 hours. 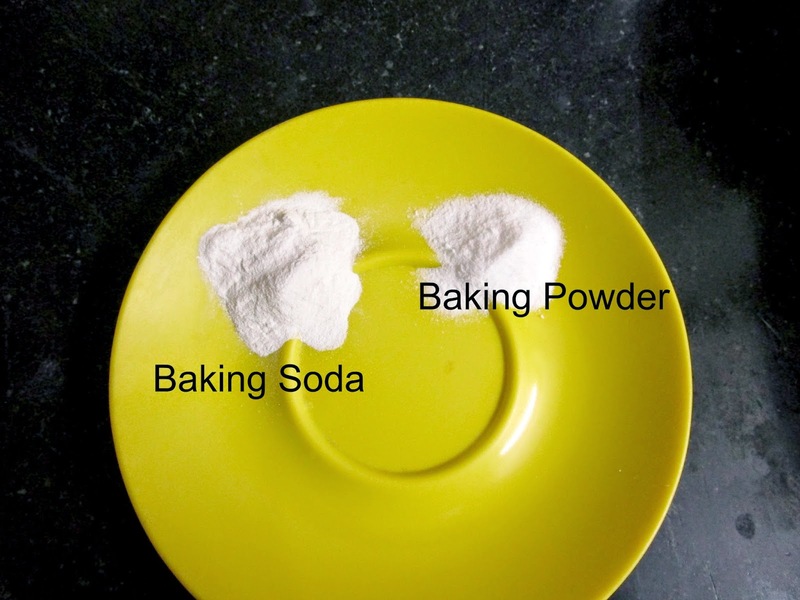 After marinating the chicken , discard the buttermilk(saving some for mixing the flours) and add the flours, baking powder, salt, pepper powder. 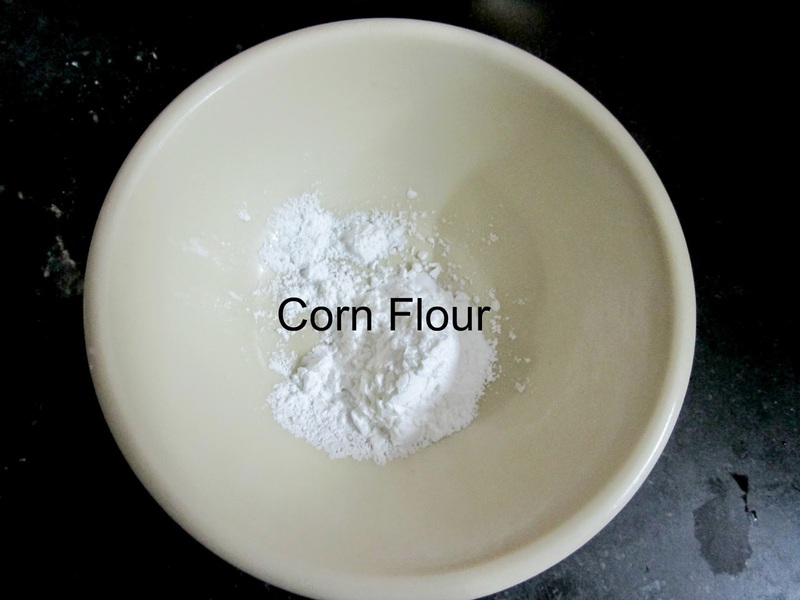 Begin by adding cornflour to the water, mix well ( This will act as a thickener to our sauce) and keep it aside until further use. 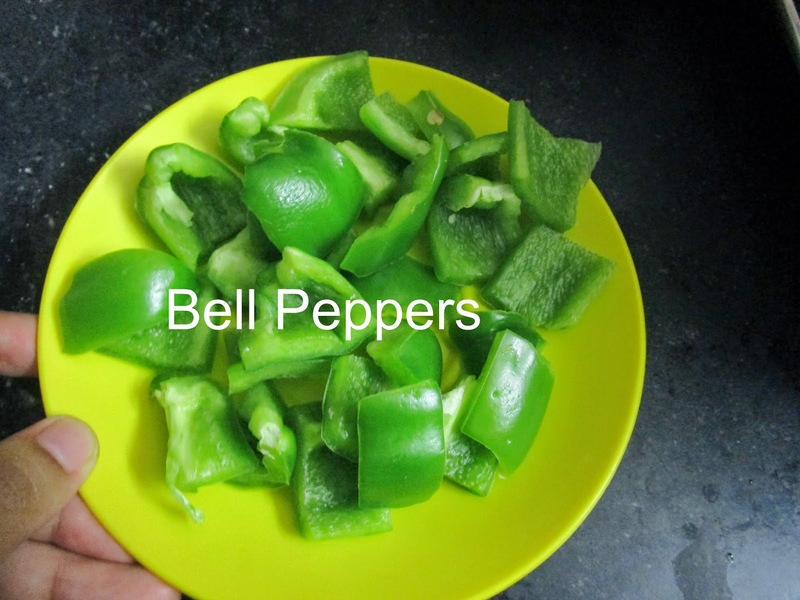 Next , switch on the stove to high flame and heat oil in a kadai, add bell peppers, onions, crushed garlic, and stir for a minute. 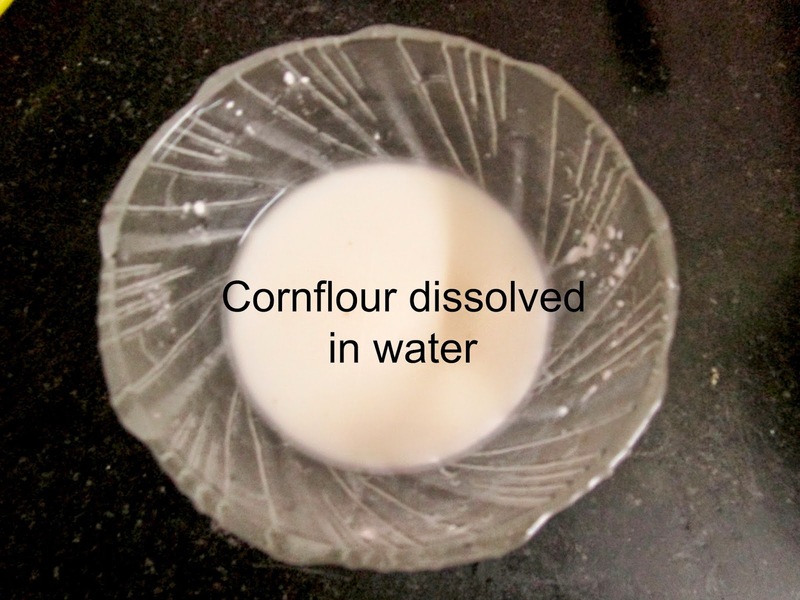 next, add the thickener i.e, cornflour dissolved in water . 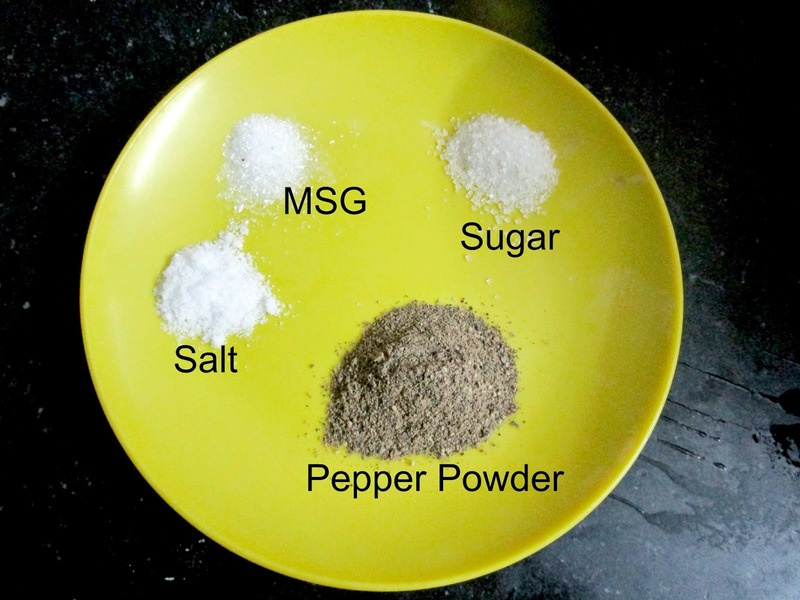 Now, add both the sauces, salt, sugar, pepper and MSG.. 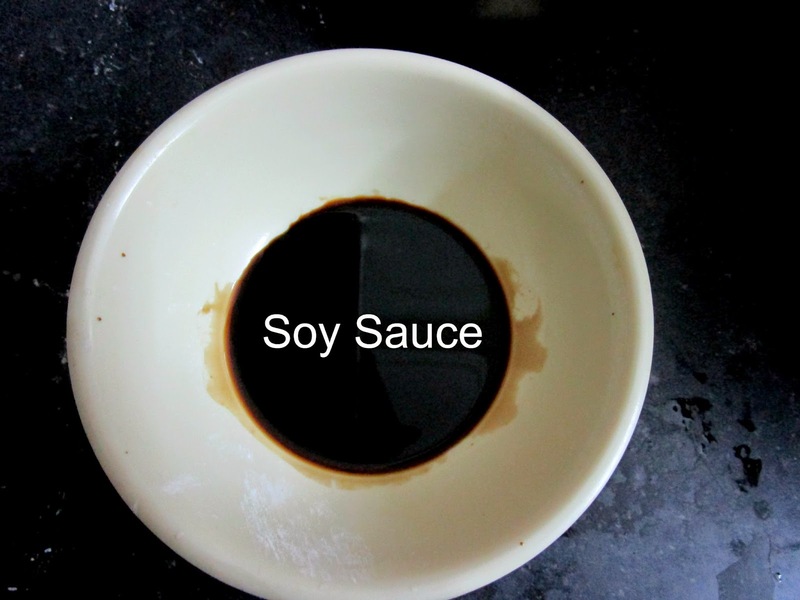 When you observe that the sauce is slightly thickening, then add the fried chicken pieces to the sauce and saute it until the liquid gets absorbed by the chicken. Garnish it with some greens and sesame seeds. 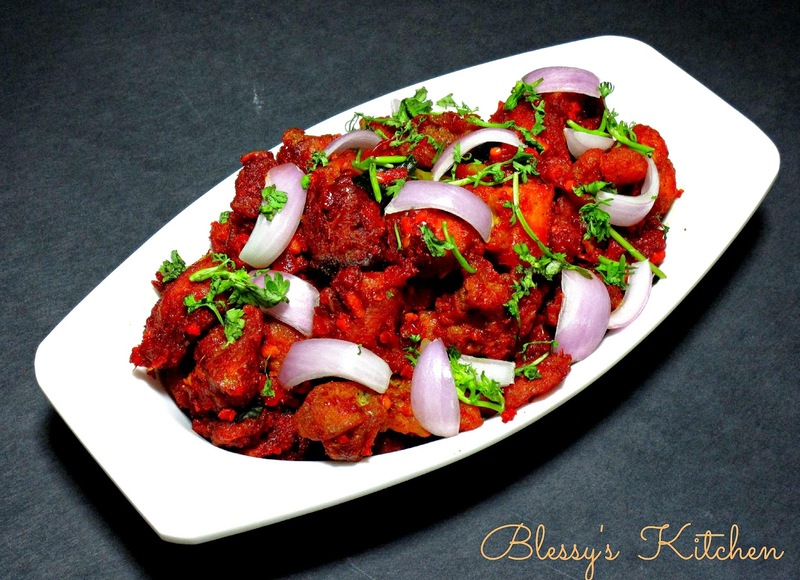 Chicken 65 is spicy- deep fried chicken from Tamilnadu. It can be made with bone or with out bone. 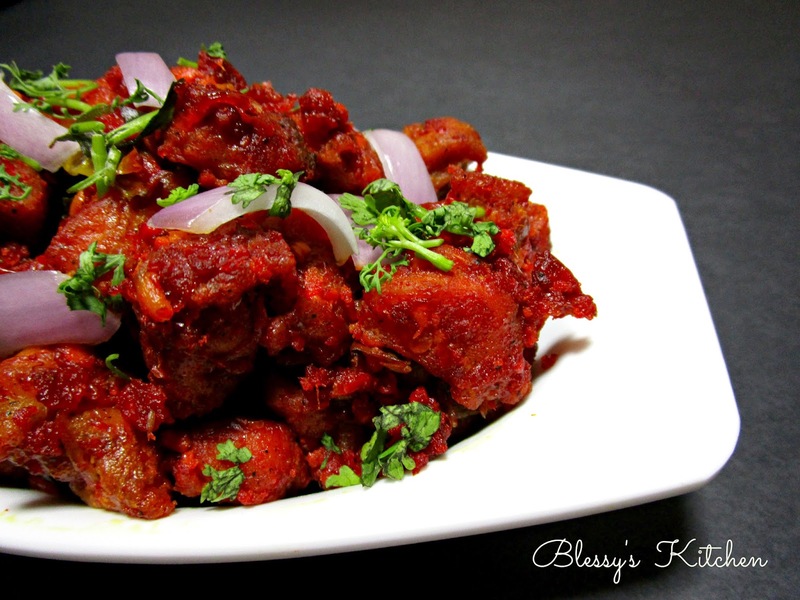 Today, am making this dish with boneless chicken. For this dish I'm using thigh part of the chicken which turns out to be juicy when fried. Chicken 65 is often served as a snack or starter. If you want semi- gravy style you can also add whipped curd as required which gives wet effect to the dish. 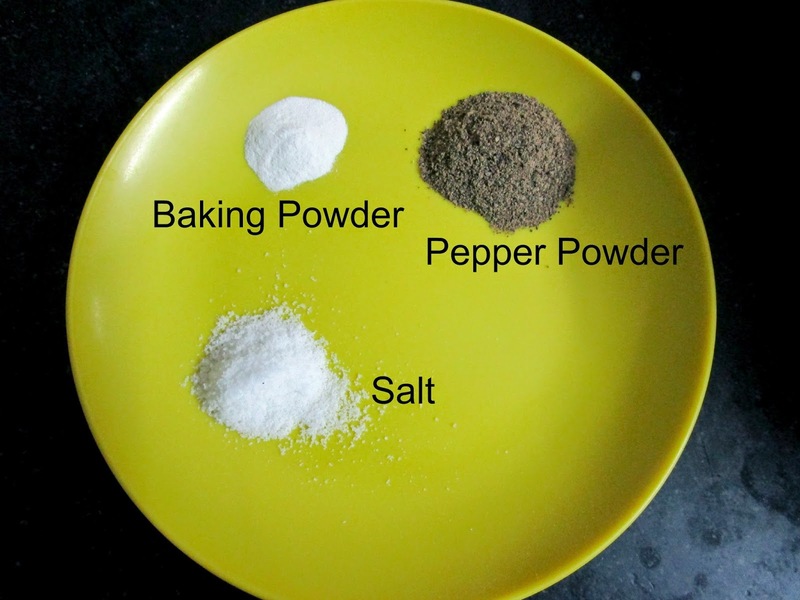 You are always free to adjust the amount of spices by reducing or increasing it. So lets make some Chicken 65!! First prepare the chicken by cutting them into bite size pieces,cleaned and washed throughly. 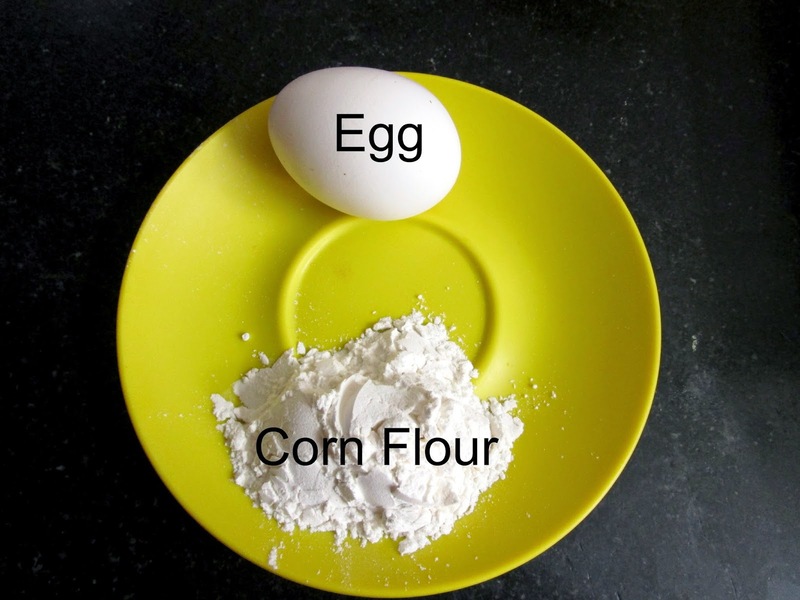 To the chicken, add corn flour (2 Tablespoons), salt, pepper and egg. 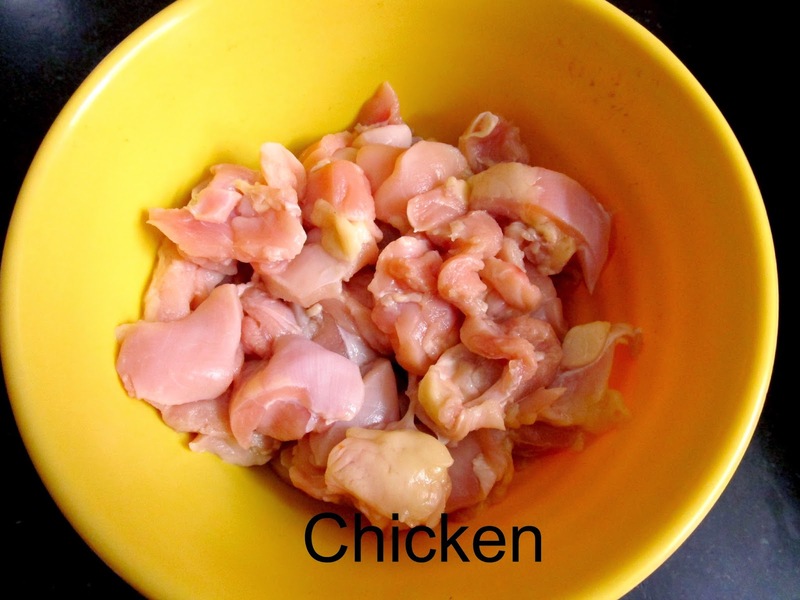 Mix the chicken well, marinate it for atleast 1 hour. Longer the marination, better the chicken. After marinating the chicken pieces deep fry them on medium flame for the chicken to cook well..
Next, add required amount of oil to other kadai, followed by cumin seeds, crushed garlic, onions, ginger garlic paste,curry leaves, green chilies, red food color, red chilli paste, cumin powder, turmeric powder. 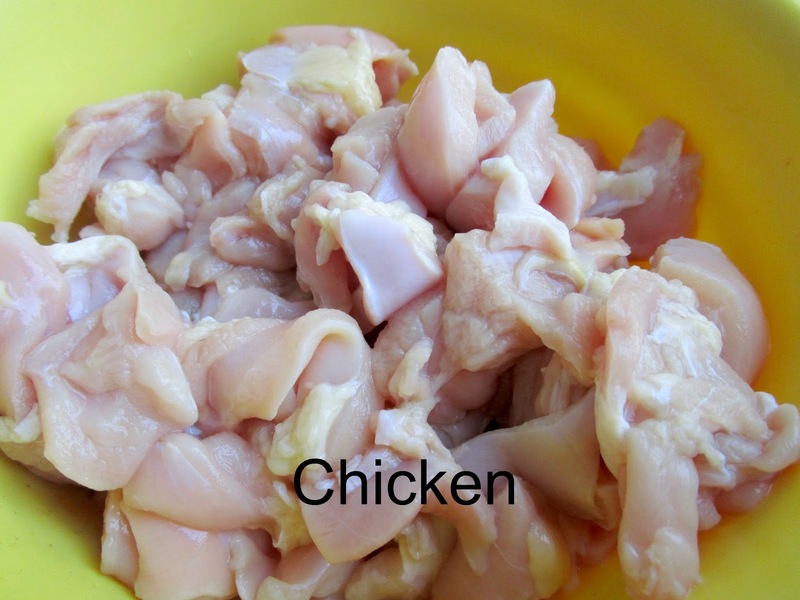 Saute the whole mixture for 1 minute and add the fried chicken pieces. Stir well. At this point you can check for taste and can add spices according to your taste. 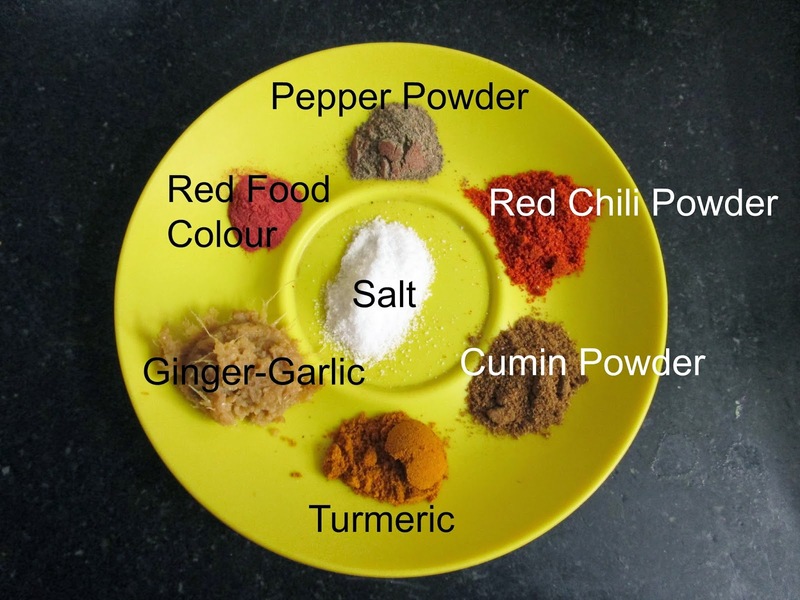 If you feel that chicken mixture turned out spicy then simply squeeze lemon/lime juice to cut down the spiciness.. After stirring well add the cornflour slurry, cover the lid and cook it further for 3 to 4 minutes on low flame. *** If you want semi gravy or wet chicken 65 then add enough amount of whipped yogurt (curds) before adding the fried chicken pieces.. I've been trying to make Egg less cakes from many days. My cakes always failed especially when the recipe calls for the ingredient Milkmaid in large quantities. My cake always turned out to be a mess. 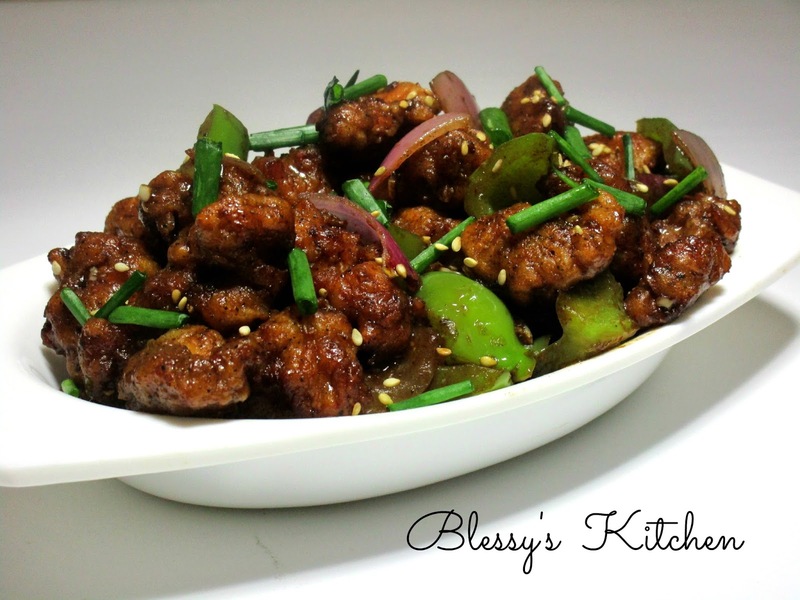 After checking out this recipe by Chef Nita Mehta, I gave it a try and it came out good. 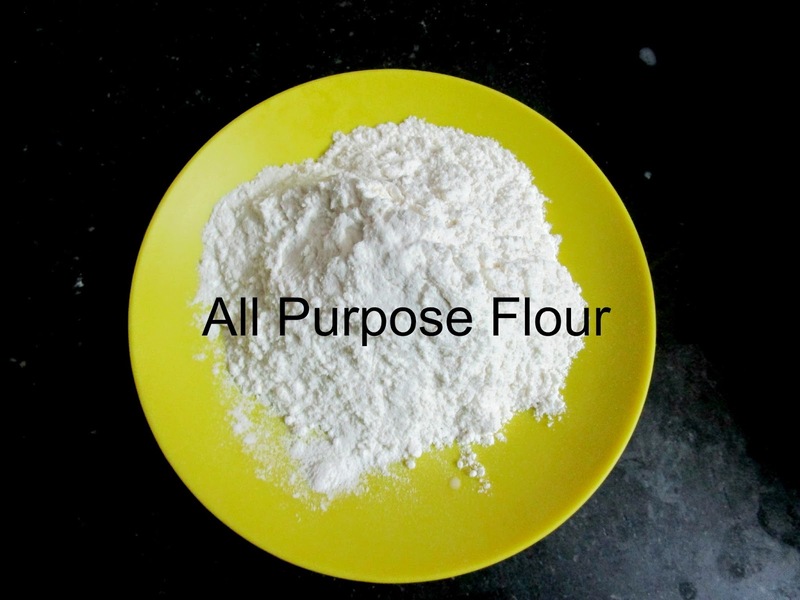 Finally, am happy that I learnt to make cake which contains Milkmaid. So, lets make some Egg less cake!!! 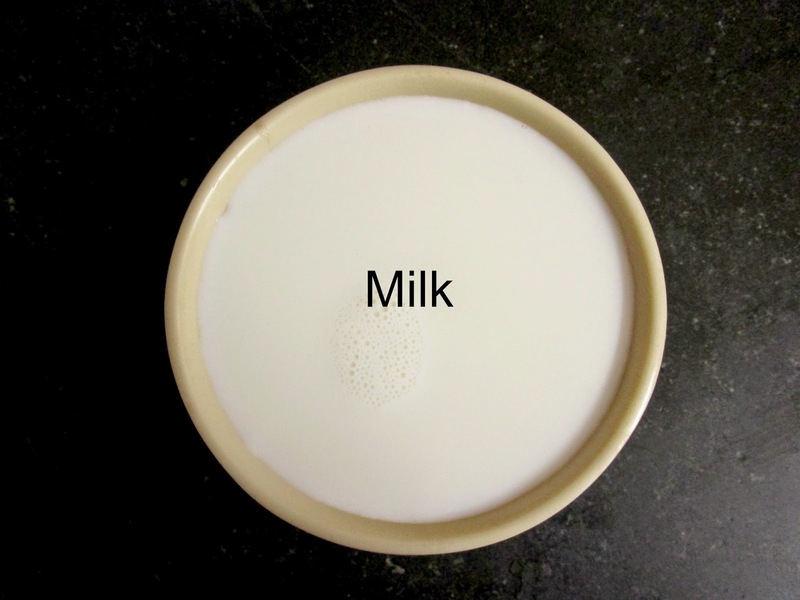 Begin by creaming butter and milkmaid in a bowl. 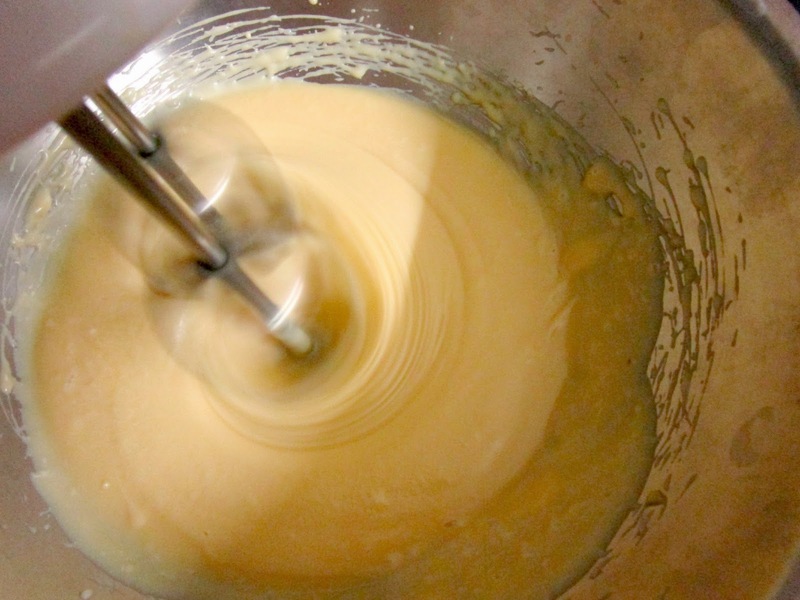 Next add milk, vanilla essence, vinegar, baking soda, baking powder to the creamed mixture and mix well. 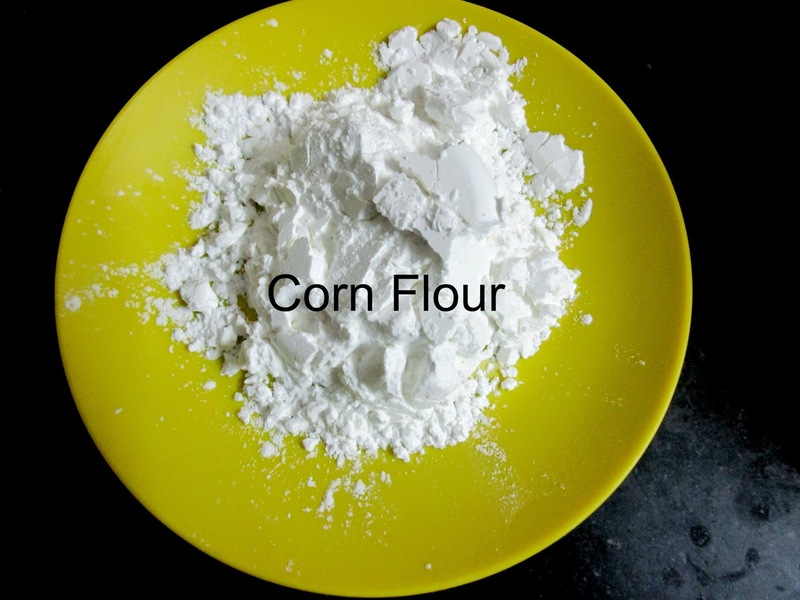 After mixing all the ingredients, slowly add flour and mix well. Next butter the cake tin and bake it in a preheated (180 Degrees C) oven for 10 minutes. 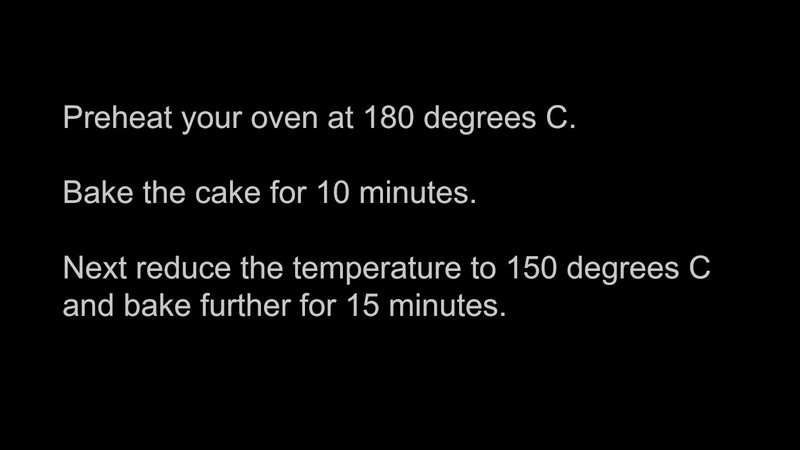 Reduce the temperature to 150 degrees C and bake it further for 15 minutes. To know whether your cake is done or not, simply insert a toothpick in the cake. If the tooth pick comes out clean then you're cake is done. Let the cake cool completely and run the knife around the edges of the cake, flip the cake tin over to unmould on a big plate. Cut and serve. As you can see, my cake top has over coloured. If you don't want this colouring on your cake, simply cover the cake tin with aluminium foil and bake for first 10 minutes. Next, when reducing the temperature to 150 degrees C, remove the foil and continue to bake.